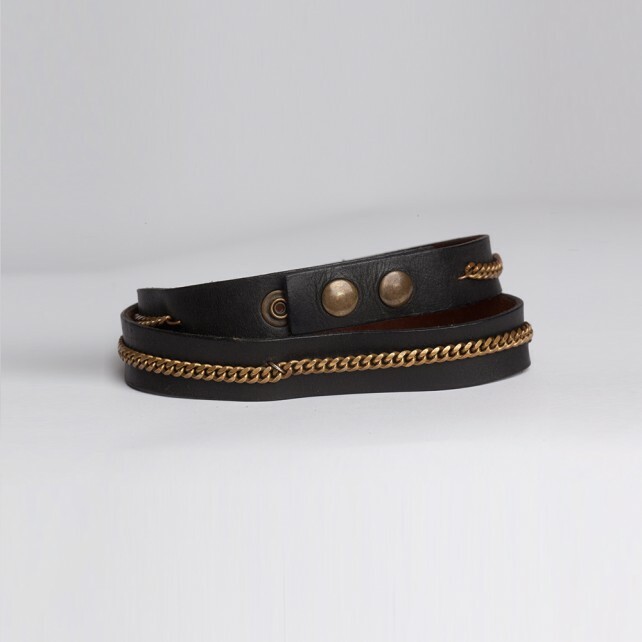 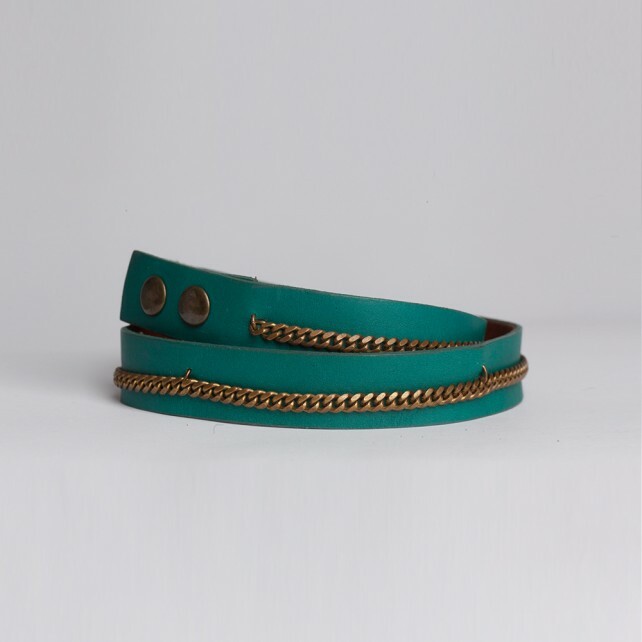 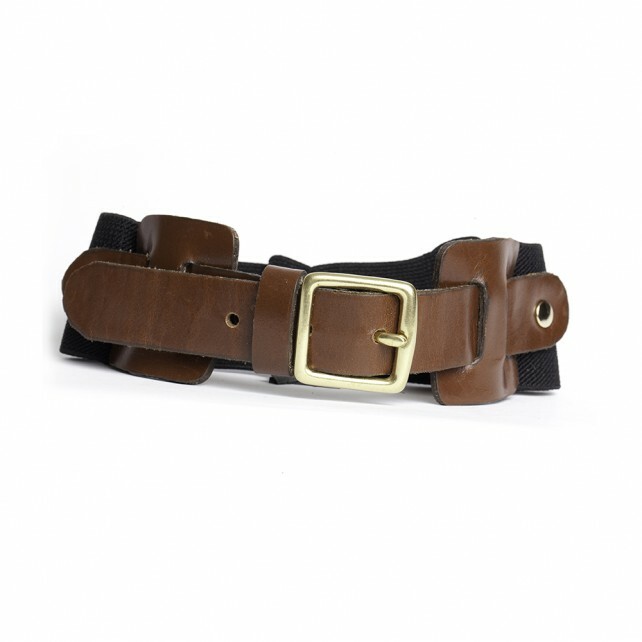 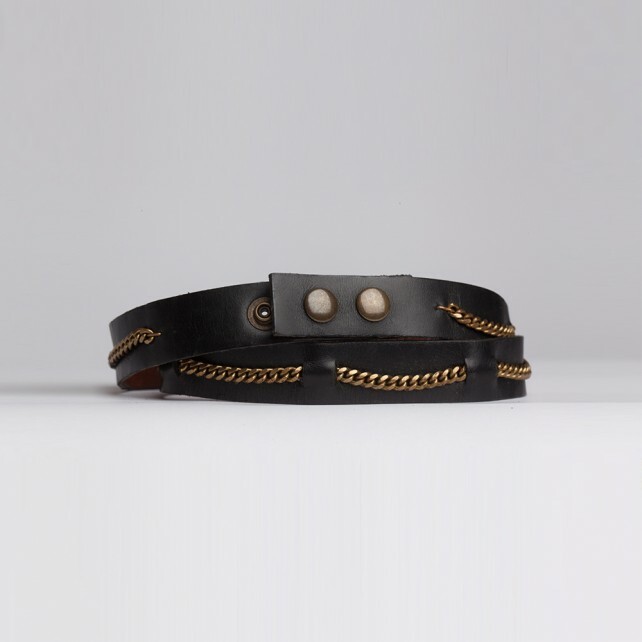 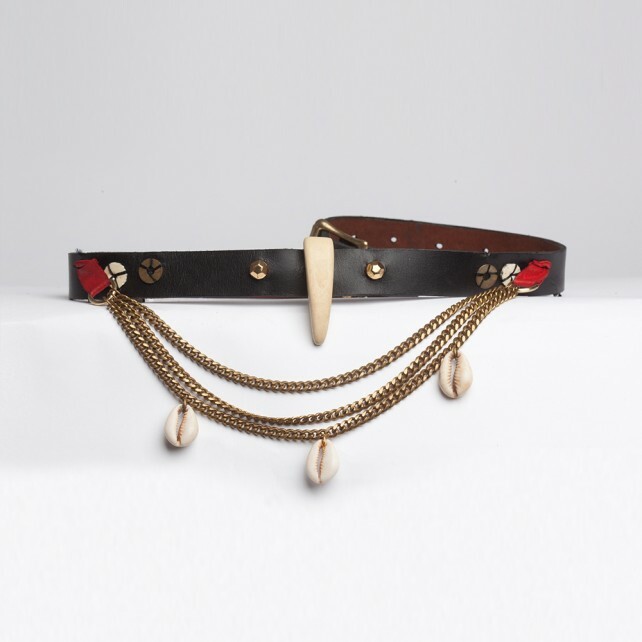 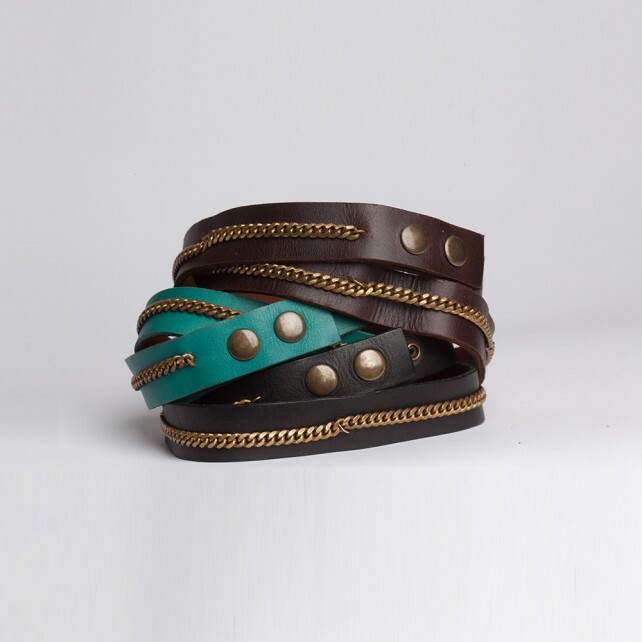 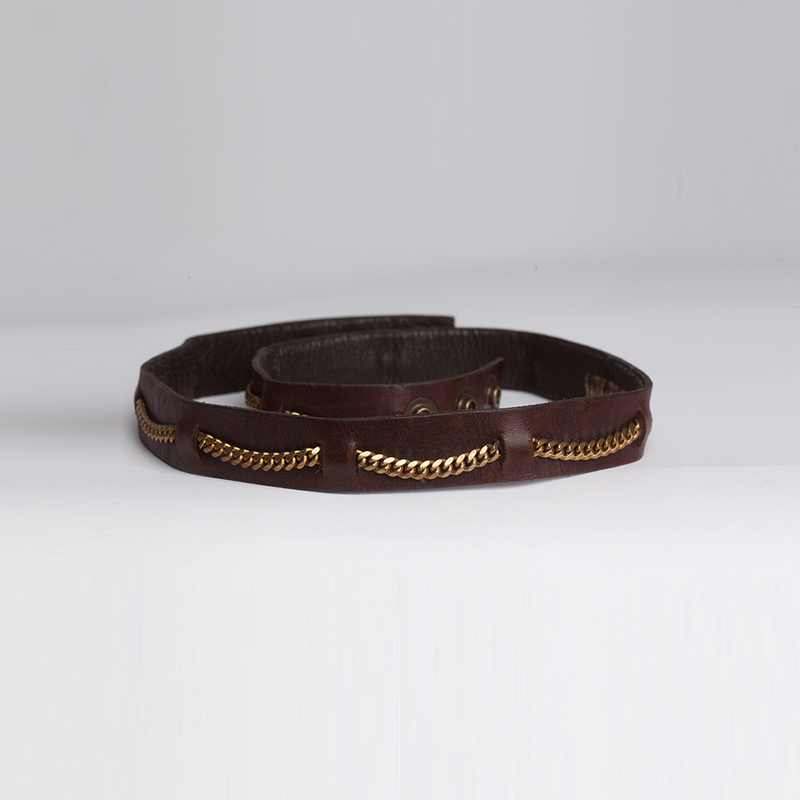 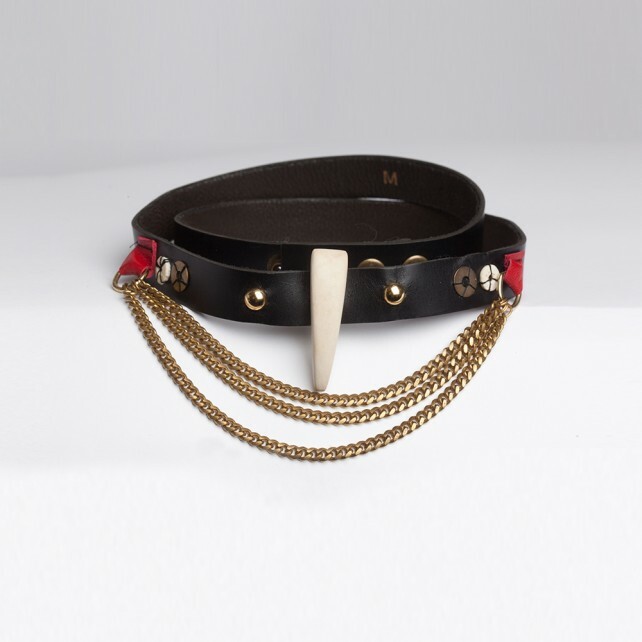 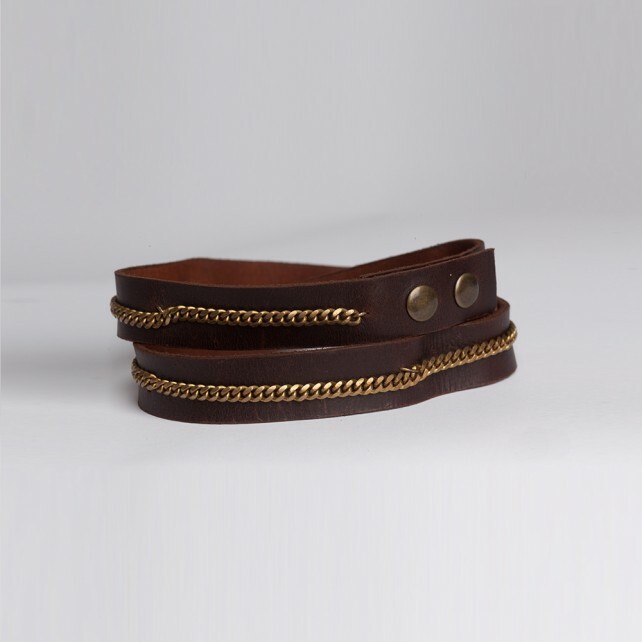 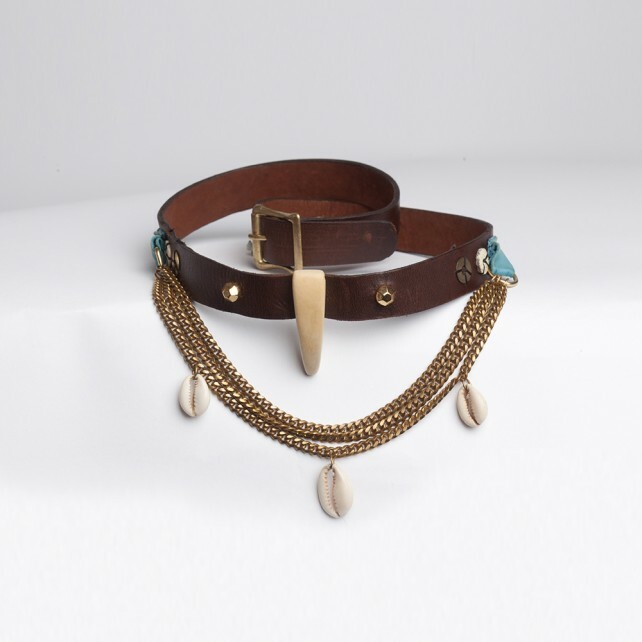 Cowhide interwoven with antique brass links. Available in Black and Coco. 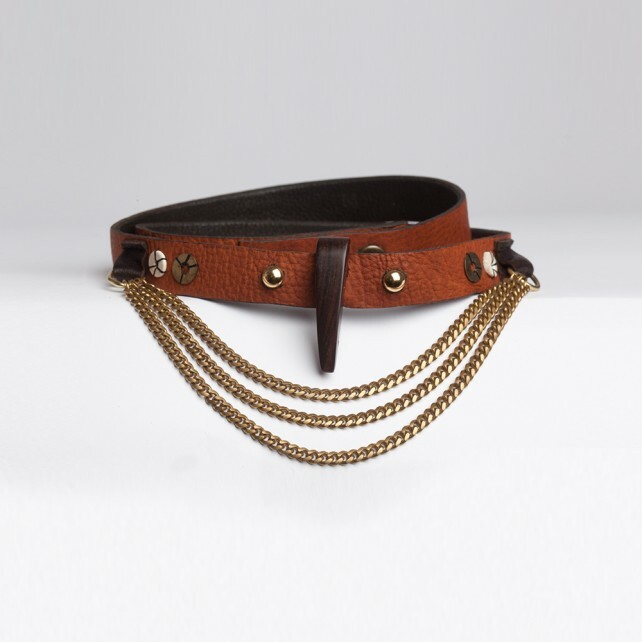 S-M-L-XL.